Product prices and availability are accurate as of 2019-04-03 14:58:04 EDT and are subject to change. Any price and availability information displayed on http://www.amazon.com/ at the time of purchase will apply to the purchase of this product. 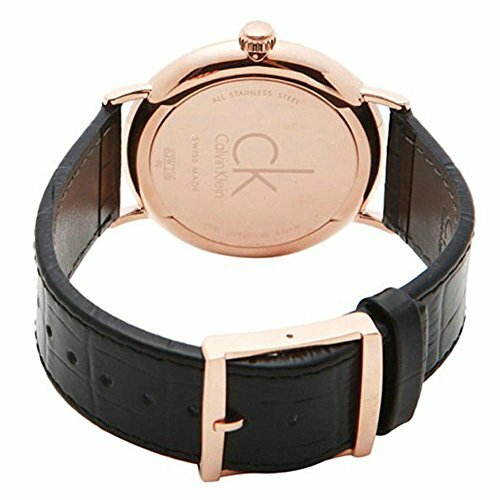 Calvin Klein K3W216C1 Surround Dress men's watch features a 42mm wide and 15mm thick rose gold ion plated solid stainless steel case with a fixed bezel and textured push-pull crown. Calvin Klein K3W216C1 is powered by an accurate Swiss Made quartz movement. 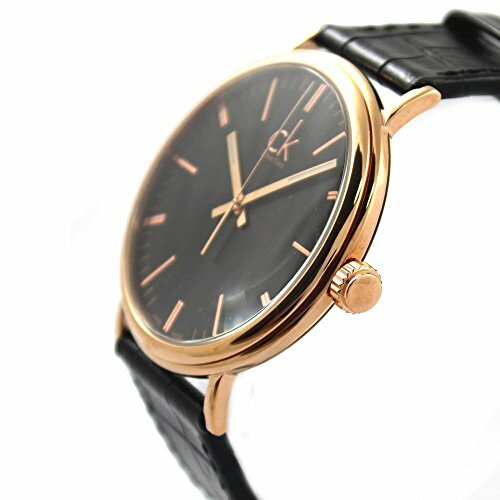 This stylish watch also features a shiny sunray black dial with white accents rose gold tone luminous hands and index hour markers, scratch resistant mineral crystal and water resistant to 30 meters. 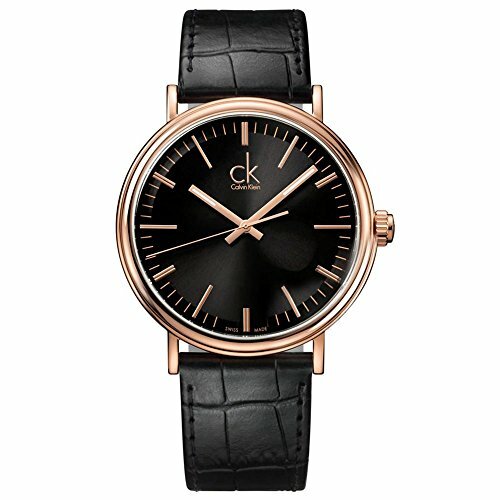 Calvin Klein K3W216C1 is equipped with an 18mm wide black leather strap with a buckle clasp. Calvin Klein K3W216C1 men's Surround black dial rose gold steel black leather strap Dress watch is brand new and comes in an original Calvin Klein gift box and is backed by a 2 years limited warranty.